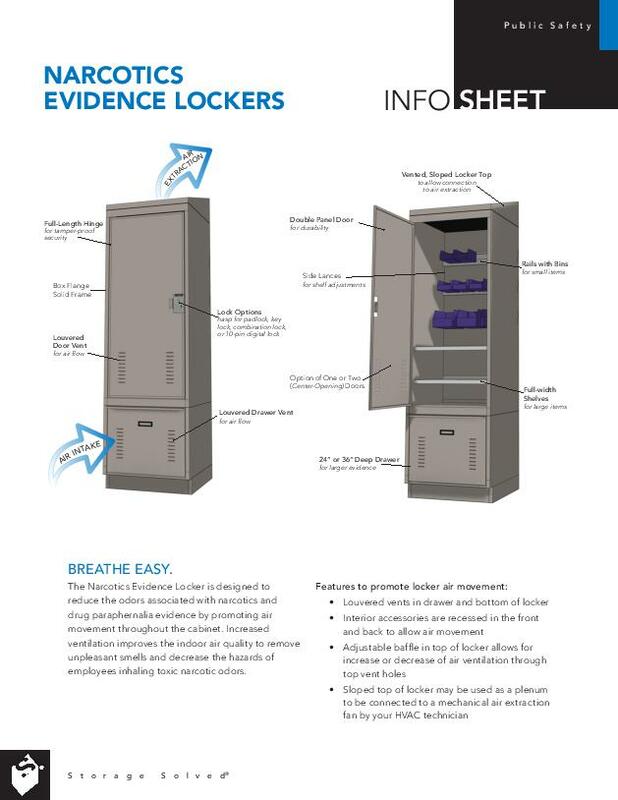 Spacesaver’s Narcotics Evidence Locker is specifically designed for the needs of a small police department’s drug evidence collection and storage needs. A Solution so Small Police Departments Can Breathe Easy. When it comes to narcotics evidence storage, the International Association for Property and Evidence (IAPE) outlines several best practices—and the advice is pretty straightforward. 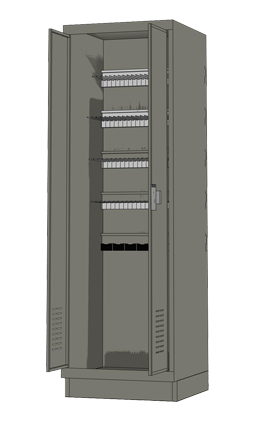 With louvered vents, recessed interior accessories, and the ability to be connected with your department’s HVAC system, the NEL is designed to reduce and eliminate narcotics odors and improve the air quality of the surrounding environment—reducing safety hazards for evidence technicians and other personnel who need to access the storage. Easily configured accessories such as interior rails, full-width shelves and side lances, and drawers make the NEL a storage system that is big on flexibility—its usage can evolve as your evidence inventory does. 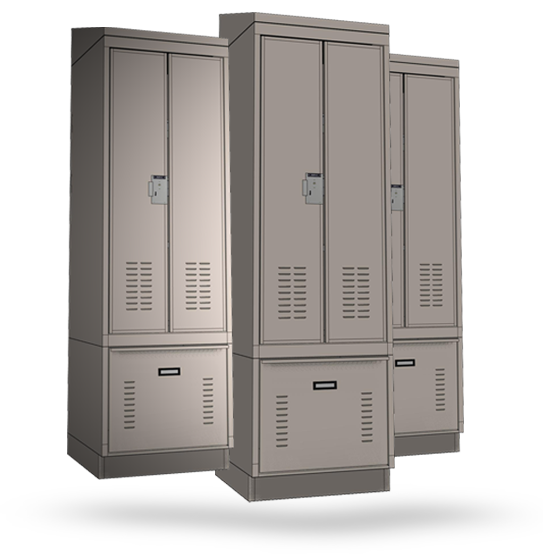 Designed for durability and security, the NEL provides peace of mind that narcotics evidence storage is under lock and key. From durable, all-steel construction to a variety of lock options including padlock hasp, key lock, combination lock, or 10-pin digital lock, this narcotics evidence storage system fits seamlessly into the collection and tracking processes already outlined for your department. doesn’t have to be expensive—or spacious. Locker Info Sheet to learn more. 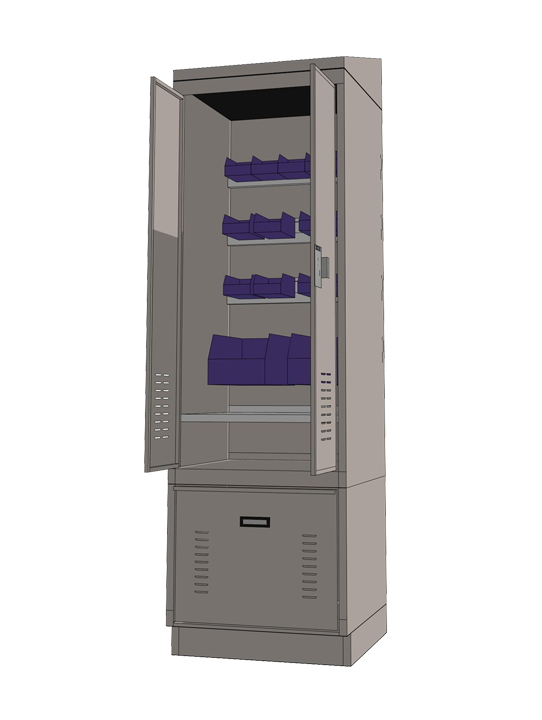 In addition to the NEL, Spacesaver also offers a similar small firearm evidence storage system—the Weapons Evidence Locker —to meet the gun storage needs of smaller police departments. When paired together, these two systems offer protection for two of the most high-security items in an evidence inventory.